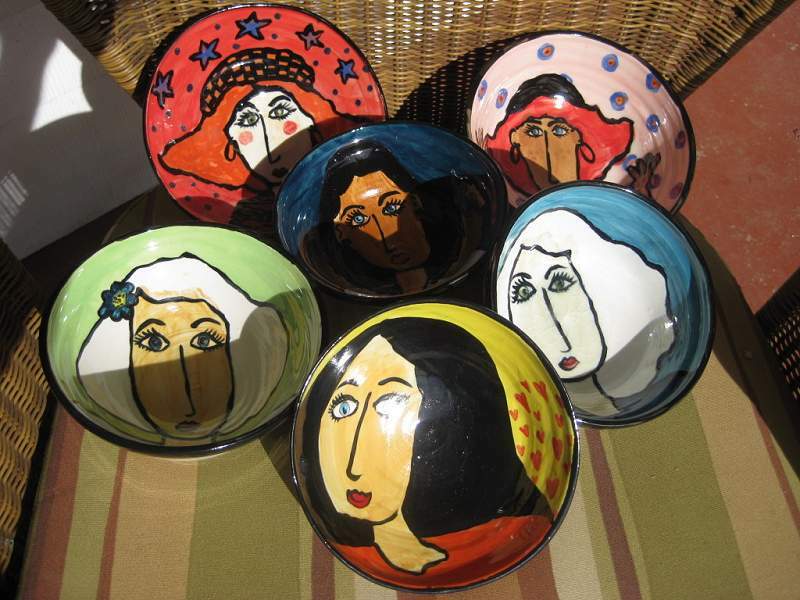 My company is called Red Bird Pottery – Oregon Home Thrown Pottery. 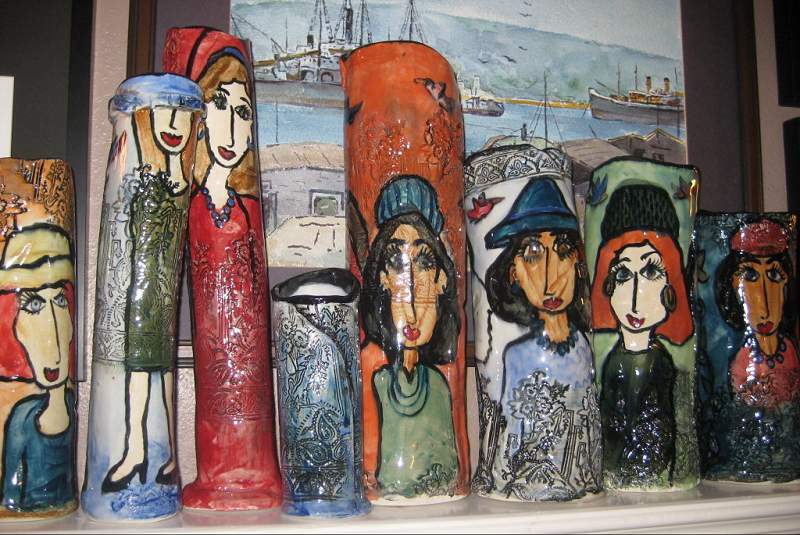 I dabbled in pottery at OSU in the 60’s and after graduating I taught school, traveled, and raised 6 kids. You can imagine very little time to “play” pottery. I taught cartooning during my teaching years and loved that. So it worked out to combine this, plus Miss Hettinger, my Jr. High English teacher, influenced my life with poetry and quotations. One can’t separate life from art work. It was a natural combination and I enjoy my work which I call whimsical. I retired and my passion for art took over. I built a studio in our cherry orchard over looking the South Umpqua River at my great-grandfather’s home. Where else could heaven truly be?